Trine 2: Director's Cut was a launch day eShop release on the Wii U in November 2012, and remains as one of the highest-selling downloads on the store. 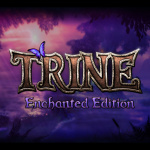 Frozenbyte's beautiful platformer certainly made an impact, and Nintendo fans are still awaiting the remake of the original - Trine Enchanted Edition - which is apparently still in the works. 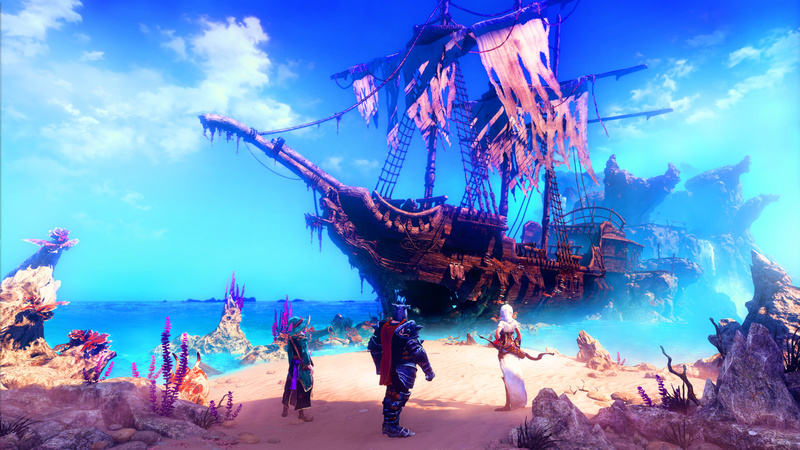 The developer has now announced Trine 3: The Artifacts of Power for a 2015 release, with PC confirmed and consoles TBA. As for the Wii U's odds of being included, on the one hand we're optimistic due to Trine 2 seemingly being rather popular on Nintendo's system, but on the flipside a little nervous as a result of the continued delays to the original's remastered release. We'll find out later in the year, but this certainly looks like a promising new entry, with shifts in perspective and camera angle away from the 2D-exclusive focus of its predecessors. These dynamic shifts could certainly add a lot to the gameplay. You can check out the first trailer below - let us know what you think and whether you're hopeful that this'll come to Wii U. The original is a day one buy for me. Get it out there Frostbit. Yeah I'm still waiting for the first one. Now I'll have to wait for the confirmation on third one to come to U. Has the first released on the Eshop? I loved a lot about Trine 2 (i.e. graphics, the settings), but it frustrated me like no other game ever has. Its unlikely that I'll return to the franchise. This reminds me. I still need to finish Trine 2. I'm definitely getting 1 and 3 when they release. Would love to buy trine 1 if they ever bother to release it. @midnafanboy Not yet, it's apparently still on the way. I have Trine 1 & 2 on Steam that I still need to play. Been waiting for a good time to set up some co-op with my friend. Just looked at their website and they wanted to publish in in Jan and now again they don't know. I wonder what's the problem is. .... YAY FOR FINNISH GAMING INDUSTRY! I still haven't finished the first two even though they are very fun. I'm excited to hear about this. I'll likely get it on pc and then pick up the wiiu version later. I def won't be getting anymore Trine games. I still regret downloading Trine 2: The Director's Cut onto my Wii U. It's a gorgeous looking game but overall I didn't find it that great. There are way too many touch controls for me to enjoy it. (Can't believe I wasted some digital deluxe dollars on it either). I feel the same way, although I acknowledge that in my case much of it was do to my obsessive-compulsive need to collect every single one of those crystals in the game, no matter how mind-bendingly frustrating they were to get to. If I would have just played a bit more casually, I would have had a lot more fun. I also wasn't a fan of the controls. For me to even consider buying another Trine game, the controls have to be improved. Trine 2 is much more enjoyable at 60fps. I like the added new movement options, will freshen up the formula. Woo-hoo! I loves me some Trine, even if I'm yet to buy the first or finish the second... Hoping this comes out on Wii U! Finally going 3-D, although that's going to make the wizard abilities even tougher to use. Wow that looks awesome. Never finished 1 or 2 but this just looks fantastic. Hopefully it makes it to a console - any console - b/c I'm not a PC gamer. Oh, enjoyed the first 2 alot b/c there are only so many 3 player couch co-op games in the world I can play w/ my sons. Though I'll still get this one even if it's single player, looks that good. Wii U please!! Want this soo much! @Nintenjoe64 Opinions and all, i get it, but... No way. I love fantasy settings, too. But the controls are way too cumbersome to be compared to the elegant beauty of Tropical Freeze or Rayman Legends. Heck, I'll take NSMBU over Trine 2, despite it's at times derivative gameplay and barely HD graphics. And, as @unrandomsam pointed out (as he does at every opportunity), the lack of 60 fps really hurts any platformer. Seeing as I loved Trine 2 I would certainly welcome the next entry if it were to come to Wii U. I don't know if I would buy it if it was released on another system. I'd only play this game if it came to the Wii U. The Trine 2 Enhanced Edition was a great port to the console with bonus content brought along with it. Only on wii u. But it looks awesome and the 3d world would actually really make this game legendary. That is a very nice looking game. Probably won't make it to WiiU, most devs and pubs avoid it like the plague. @Vindignant In TRINE'S defence it is a puzzle adventure game NOT an action 2D platformer in the Mario/Rayman sense. I own T2 on Wii U and happen to think it is amazing, mixing beautiful visual design, gameplay and sound into a AAA package - I've played it primarily in co op mode. Trine 3 coming to wii u would be like trine 2 on the wii. I don't think this will cone to wii u, but will probably come to the next console. Trine 2 runs at 720p 30fps so unless trine 3 runs at 480p(lol) i dont think it will come. There is no problem with running Trine 3 on Wii U. Since Trine 2 is the best selling Indie on Wii U ever, i think Trine 3 comes too. Day 1 buy for me, if they bring it to the U. I played the 2nd 3 times already, and I'll look into the remake of the 1st for sure. Trine 2 - Director's Cut is the number 1 indie megaseller on Wii U in almost all regions, and the reasons are probably really nice detailed HD graphics and a beautiful presentation and introduction that seems to lead into an immersive world, unique gameplay, co-op 3-player local and online, voicechat, all original content + all DLC content in one package, and everything expected like off-tv-play and no bugs. It helped that it was a launch game and has a good demo too, so I wonder what happened to Trine - Enchanted Edition for Wii U. However, Trine 3 looks like a different beast. Much more exciting. My main issue (a minor one) with Trine 2 was that stages were too long, lasting around 20mins each. And a deep forest wasn't just one relatively long stage. It was a series of several relatively long forest stages. I personally prefer shorter stages (then it's easier to take breaks when playing with friends and more comfortable when you missed items/collectibles). That, or a map.